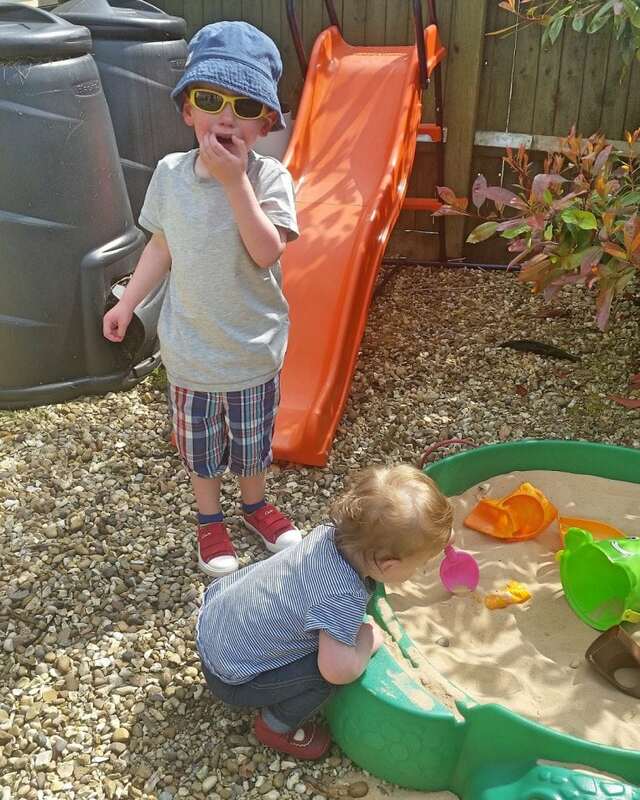 We have been enjoying the lovely weather this week and the sandpit is always a big hit with both. Unfortunately, according to my son, the sandpit is very much his and only his. Shortly after this photo was taken he attempted to forcibly remove her by dragging her backwards on to the shingle. After a short stint on the naughty step, he apologised and promised to share. 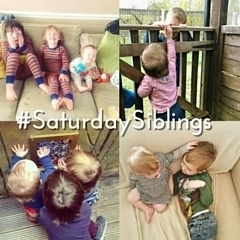 Can’t wait to see the other #SaturdaySiblings! This sounds just like my daughter with my 14 month old – the sand pit is very much her domain ! Oh no!! Bless his little face! THIS is way more like my day though!! !